This bold and dynamic two-tone ring delivers the best of both metals, and mirrors the prestigious features of the designer version that inspired it. 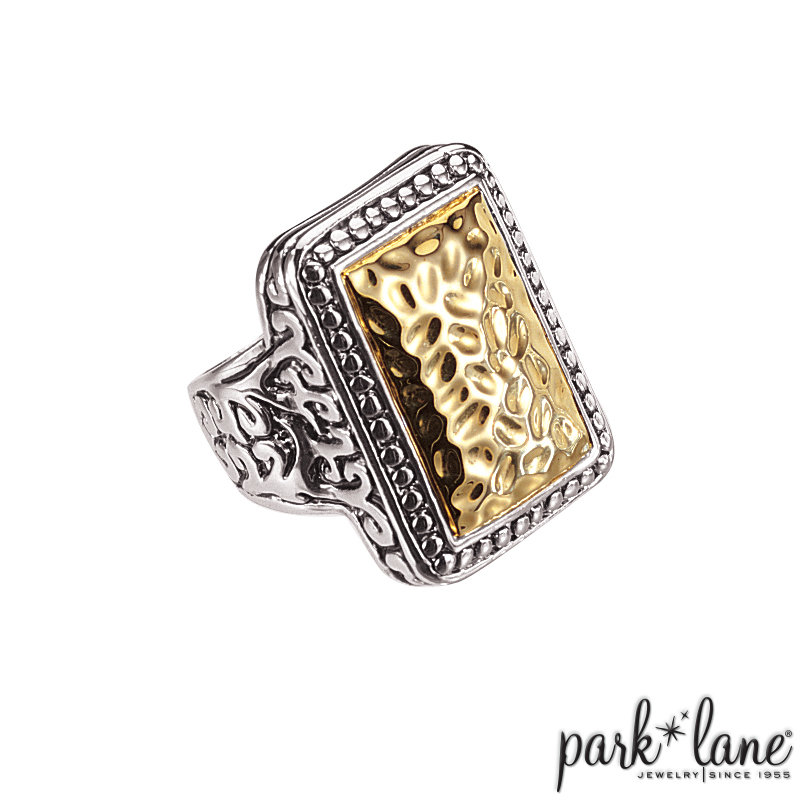 Large and rectangular in shape, the ring`s hammered gold, elaborate scrolled silver detailing and intricate caviar-style beading denote its designer roots. Ring is available in sizes 6 to 10.